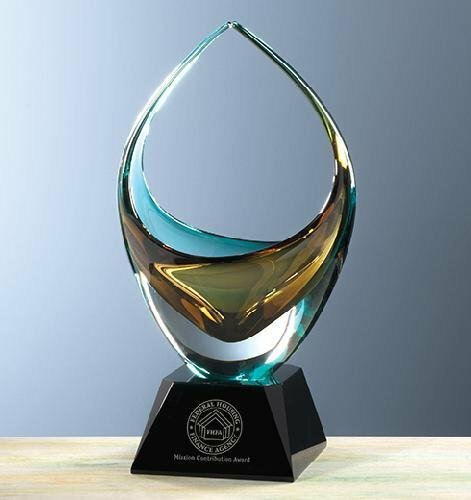 Athens Jade Glass Award. This item is 3/4" thick. Available in Three sizes. Elegant Mitered Base. 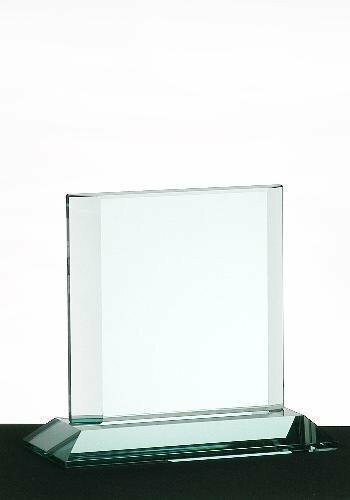 Athens 3/4" Crystal Clear award. This item is available in three sizes. Mitered elegant base. 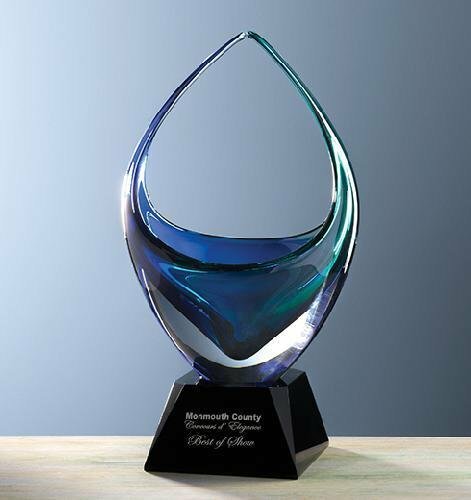 Crystal Atlantic Award. This beautiful combination of clear and blue crystal mimics the tranquil waters of the ocean it is named after. 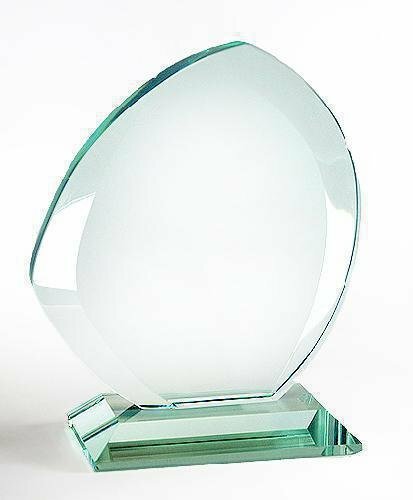 Autumn Leaf Jade Glass Award. This item is 3/4" thick. Available in one size. Elegant mitered base. Avanti Marble Edge Acrylic On Accustik Base available in Blue, Gold and Red. 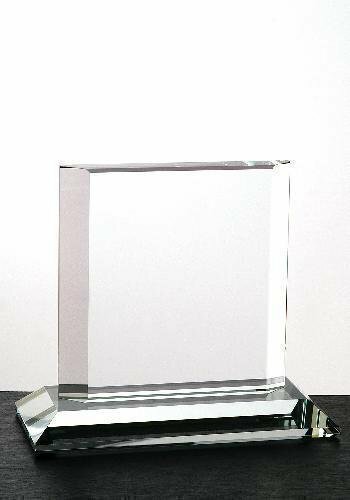 4 1/2" X 9 3/4"
Rosewood Piano Finish Barhill Plaque With Rectangle Decorative Plaque Casting 12" X 15"
Hand-formed European art crystal with an attached deep-etched black or clear optical crystal base. Hand-blown of the finest quality crystal by skilled artisans, no two pieces are exactly alike. Available in two sizes and packaged in an attractive gift box. 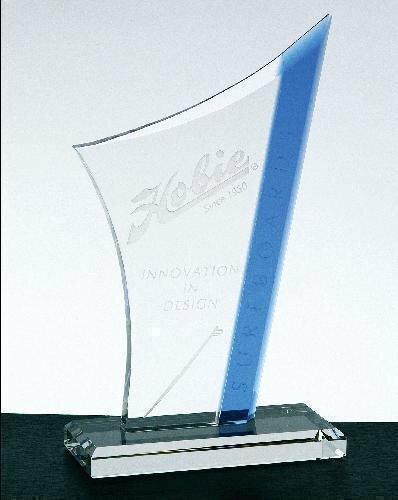 Handcrafted from European art crystal and attached to a deep-etched black or clear optical crystal base. It features deep colorful hues of gold, bronze, and green swirled artfully in basket shape. Available in two sizes and packaged in an attractive gift box.